Bioluminescent Bay is a like a fairy tale come to life where magic flows straight from your fingertips and metamorphoses into a million twinkling stars submerged underwater. Contained only by the natural barrier of the mangrove trees the luminary creatures create a singular habitat full of awe and mischief. The experience of Bioluminescent Bay transcends earthly explanation; it is an ethereal encounter with nature where man and algae create a brief, yet symbiotic relationship – one that is profoundly extraordinary. 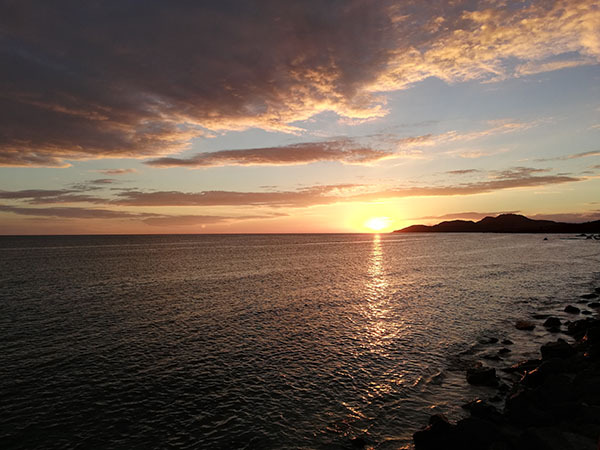 Bioluminescent Bay on the island of Vieques at Mosquito Bay (named after a pirate) is one of those places that comes up again and again and again in the airline industry. When you work for an airline you hear a lot about other people’s trips and the best places to go and explore. When our family was trying to decide on a place to go for Miss Molasses first adventure, Puerto Rico came up again on our radar. We’d gone to San Juan once before, but before we had kids, and we didn’t have much time to play. If we were headed back I was determined to kayak at Bioluminescent Bay. 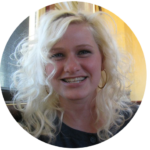 However, finding a guide that would allow kids, much less an infant, proved to be as tricky as they come. I had nearly given up when I came across Abe’s Snorkeling and Bio Bay Tours the day our flight was set to depart. As long as we brought our own infant life vest for Molasses we could bring her, and all the kids along! 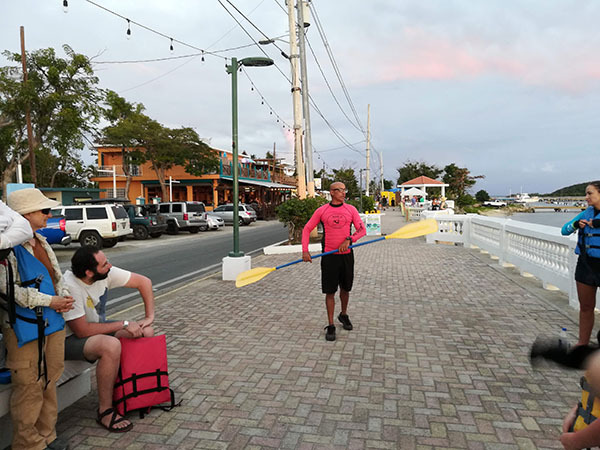 Abe’s Snorkeling and Bio Bay Tours has been a staple on the island for the past twenty years, but when Hurricane Maria tore through the Caribbean in September of 2017 she didn’t discriminate. Abe’s home and business were completely obliterated and he lost everything. There was little option to rebuild, as Hurricane Maria destroyed the bay as well. What was once the brightest bio bay in the world was nothing more than a black hole. It took more than seven months for the algae to fully regrow and the balance of the ecosystem in the bay to equalize back to what it once was prior to Hurricane Maria; but it didn’t stop there. Even more remarkable is that there are now a million more dinoflagellates in the bay then there were before. As of 2019 two million dinoflagellates per gallon reside in the bay filled with a volume of water that totals 1,182,200 cubic meters. That’s 624,603,548,000,000 if my calculations are correct. What is a dinoflagellate? They are what makes Bioluminescent Bay light up like the night sky. More on that in a bit. 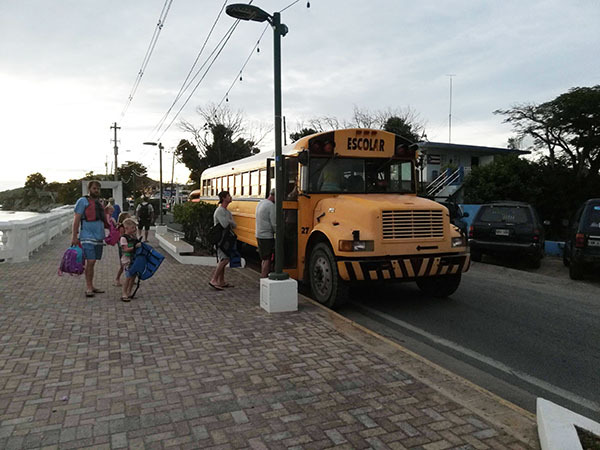 We met our tour group in Esperanza on Calle Flamboyan in Vieques. We were fitted with our life jackets, paid our admission, and our tour guide Steve gave a brief explanation regarding what to expect and how to operate the oar of the kayak. We separated into groups of two and three with myself, the baby and Widmore traveling with our guide Steve as I wouldn’t be able to control the oar and hold our three month infant. Gabriel, Pie and Eclair operated their own kayak. Then we boarded a school bus, giddy as school kids, and began the journey out to Mosquito Bay. We traveled across a sandy beach before turning down a gravel road where the overbush and trees scraped the sides of our vehicle as we slowly made our way to the hidden bay. The sun set as we made our way out to the Bioluminescent Bay and when we arrived it was mere moments before we were enveloped in complete darkness. We planned our trip around the lunar cycle, seeking as dark a night as possible. The new moon on February 5, offered just 1% visibility, or in other words, it was pitch black and provided the perfect settings for the viewing the illumination of the dinoflagellates. Mom, Dad, Steve, baby and kids hopped into our kayaks and set across the water. We glided all the way across the bay and stopped at the mangroves for bio bay school before spending the next hour enjoying the water and the phenomenon found therein. It’s the unique ecology of Mosquito Bay that drives visitors to its shores from all over the world. The completely enclosed bay is covered entirely by mangrove trees with water slowly trickling in from the ocean by way of just one small inlet. We learned during our excursion that one leaf of a mangrove tree possesses more protein than a 6 oz steak! The leaves fall into the water and are broken down through a biological cycle that includes highly concentrated amounts of Vitamin B-12, salt and a whole host of nutrient dense vitamins. As they decompose, the microscopic organisms feed on them and this diet creates the bioluminescent plankton in the water. The dinoflagellates actually don’t light up without provocation. It is only when the water is disturbed that the microorganisms measuring 1/500th of an inch create a burst of blue light as a defense mechanism to shock predators. Each algae can light up seven times in one minute and then they go back to the bottom of the bay to be recharged by the sun the next morning. Each movement of the oar, a hand in the water, a wave cresting on the surface of the bay, a drop of rain from the sky, a child splashing in delight, or a fish swimming through the depths of the water will make these amazing creatures shine so intensely it is like looking at a snowglobe under the surface. We witnessed the snook, a fish four feet long, cruising through the water at a depth of 10 feet down with a trail of dinoflagellates creating a stream of light behind it. 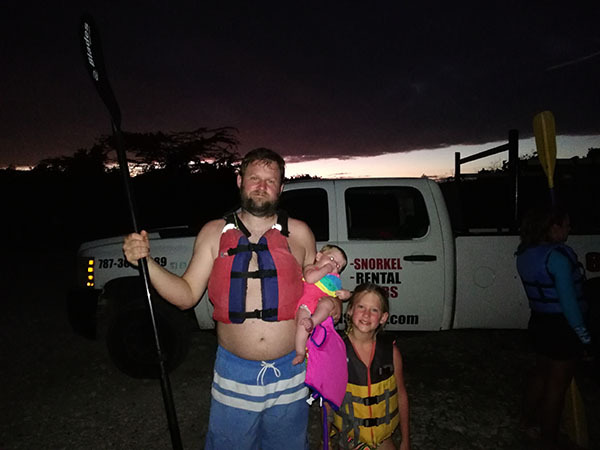 Our kayaks were filled with the microorganisms, creating the effect of twinkling stars at our feet and we could actually hold them in our hands, albeit briefly, as we scooped up handfuls of water. Our kids were fascinated! It was straight out of the scene in Disney’s The Little Mermaid when Ariel and Eric are on a boat in the water being serenaded by Sebastian as he urges Eric to simply kiss the girl. At first, there is nothing to suggest a beautiful and expressive secret lay underneath the water. But then, as the night sky darkens and your pupils begin to adjust to the darkness, a stark contrast of black water reveals itself to the magic and wonderment that is Bioluminescent Bay. Taking photos of Bioluminescent Bay is pretty tricky. And when I say tricky, I mean impossible. 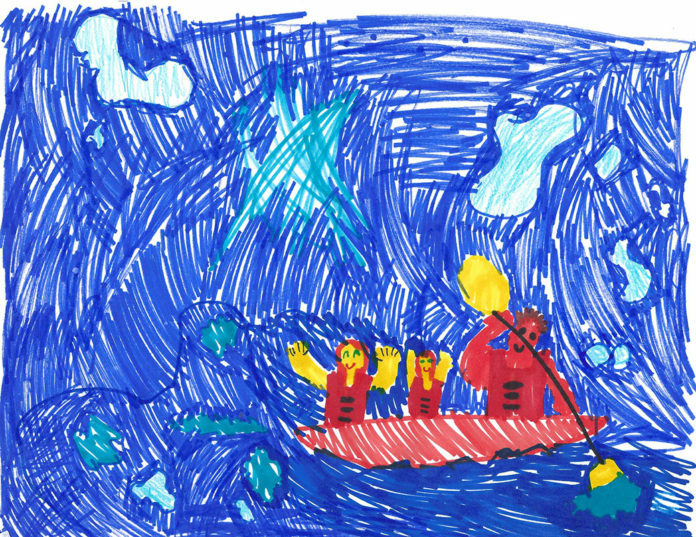 We have about 20,000 photos of complete darkness, and one super awesome drawing of our experience by sweet Pie! But check out this awesome video from Mike Corey where he utilizes a special camera to capture this phenomenon. The dinoflagellates are located throughout many bodies of water, especially the ocean, however it is only when the balance of vitamins and organisms is so perfect that the phenomenon exists. For this reason, swimming is no longer allowed in the bay as the pollution from the body disrupts this perfect balance. This is also the reason that Hurricane Maria destroyed the ability to witness the dinoflagellates as the balance of water to nutrients was disrupted. Now that the bay is restored, Mosquito Bay holds the world record for being the brightest in the world. As mentioned above, Abe’s business and home were destroyed as a result of the devastation of Hurricane Maria. His family is working to rebuild now that the bay is shining once again and they have a worthy Go Fund Me account in the event you are interested. We have posted a short video on our Facebook page showing some of devastation we witnessed on Vieques that gives you a glimpse of what the families experienced not only during the Hurricane but the months that followed without power, exceeding half a year in some cases. 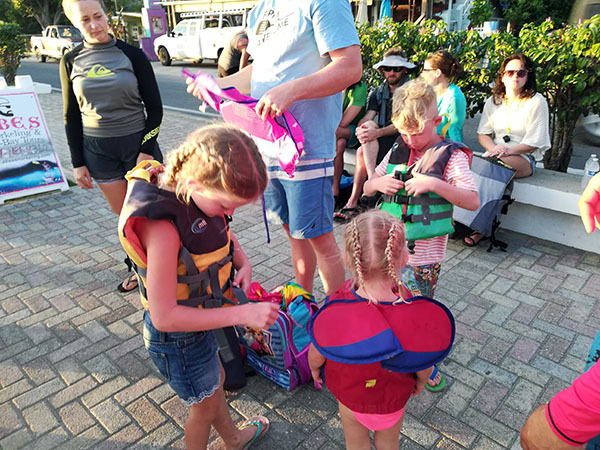 ► For Kids: Bioluminescent Bay is one of the coolest adventures we have been able to participate in as a family during our travels, and one we cannot recommend enough. The world schooling topics are boundless including biology, ecology, hydrology, nutrition, ecosystems, and more. Our kids were awestruck as they ran their hands through the water and threw up handfuls of dinoflagellates into the air. This is a riveting and exciting experience along with being affordable and appreciated by all ages. Little ones will not tire of being out on the water as they watch the microorganisms dance before their eyes. 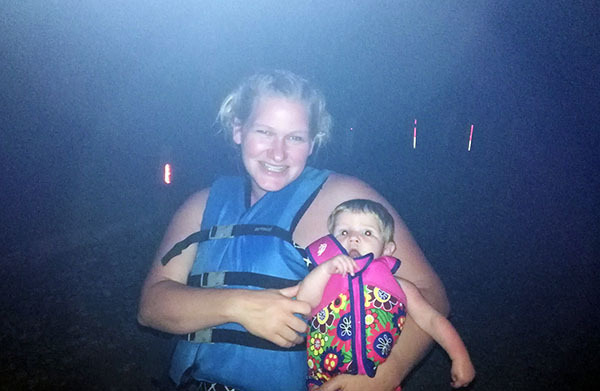 As mentioned, we had to bring our own infant life vest. The smallest sizes our tour guide had were for a typical four year old kid. As we only found Abe’s Snorkeling and Bio Bay Tours the day we were leaving we had to find a life vest on the island. 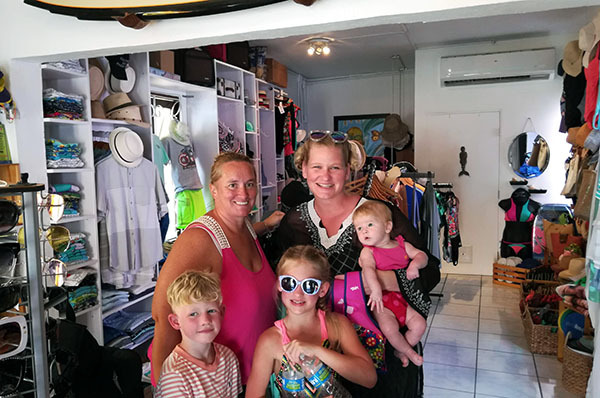 After trying several stores on the main island, we finally found a Scallywags in Vieques. Even though they didn’t have an infant life vest for sale, the incredible woman working there offered to loan us her infant life vest for the evening so we could take Miss Molasses! I could not love the people of Puerto Rico more! If you can plan ahead, Amazon sells a quality infant life vest for around $20. Don’t wait too long though because Amazon does not offer prime shipping to the island. ► Nap-Time Version: Our night at Bioluminescent Bay, in Vieques, Puerto Rico when the stars turned upside down and fell beneath the surface of the black water of Mosquito Bay. 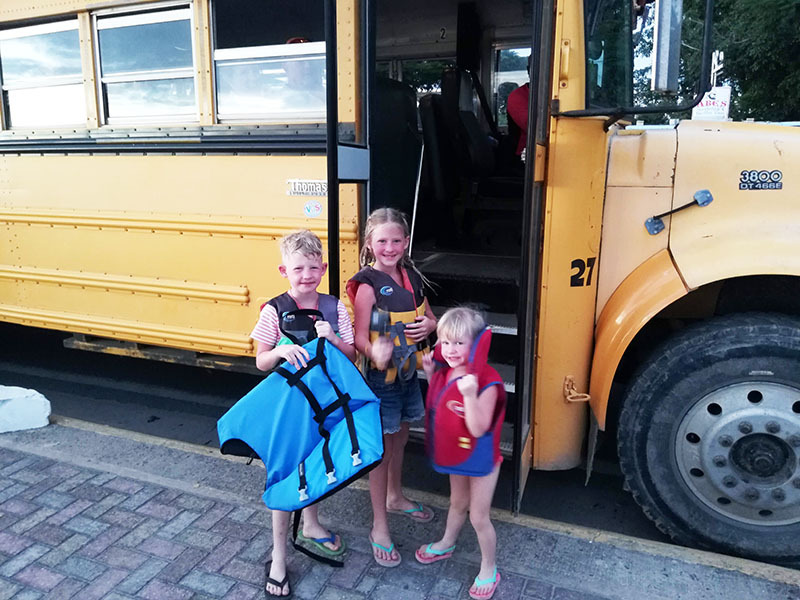 Check out all our fun family adventures in Puerto Rico including Playa Negra the Black Sand Beach, and taking the $2 ferry from the main island to Vieques.